When Lionel Savage, a popular poet in Victorian London, learns from his butler that they're broke, he marries the beautiful Vivien Lancaster for her money, only to find that his muse has abandoned him. Distraught and contemplating suicide, Savage accidentally conjures the Devil -- the polite "Gentleman" of the title -- who appears at one of the society parties Savage abhors. The two hit it off: the Devil talks about his home, where he employs Dante as a gardener; Savage lends him a volume of Tennyson. But when the party's over and Vivien has disappeared, the poet concludes in horror that he must have inadvertently sold his wife to the dark lord. Newly in love with Vivien, Savage plans a rescue mission to Hell that includes Simmons, the butler; Tompkins, the bookseller; Ashley Lancaster, swashbuckling Buddhist; Will Kensington, inventor of a flying machine; and Savage's spirited kid sister, Lizzie, freshly booted from boarding school for a "dalliance." Throughout, his cousin's quibbling footnotes to the text push the story into comedy nirvana. Lionel and his friends encounter trapdoors, duels, anarchist-fearing bobbies, the social pressure of not knowing enough about art history, and the poisonous wit of his poetical archenemy. Fresh, action-packed and very, very funny, The Gentleman is a giddy farce that recalls the masterful confections of P.G. Wodehouse and Hergé's beautifully detailed Tintin adventures. I knew The Gentleman had to be my next audio book after reading the summary. 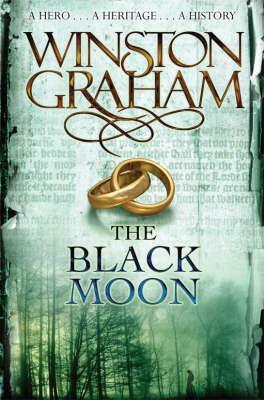 After all, a book about a man who accidentally sells his wife to the devil has to be pure gold! The book takes places in Victorian London. Which is also one of my favorite historical fiction time periods. The main character, Lionel Savage, is a poet who has seemed to have lost his muse. He blames it on his new bride, Vivien Lancaster. One evening, Lionel finds himself ranting to a stranger about his personal struggles. The next morning, Vivien is missing. Lionel puts two and two together and realizes that he must have sold his wife to the devil. The book has an amazing cast of characters. From Lionel, an egotistical poet, to Lizzy, his forward-thinking sister. Their butler, Simmons, is an enigma. In fact, every character in this book is interesting. All the characters are brought to life by the narrators. Samuel Roukin is the main narrator. The Gentleman is told in first person by Lionel, who is relating the events as they happen. Samuel also is the many voices of the other characters as well. John Keeting is the second narrator. He is the voice of a cousin of Vivien who constantly interrupts Lionel's narration with hilarious footnotes that are more true to what actually happened in the story and not just Lionel's interpretation. To me, these two narrators made the story even more fantastic than it already is. 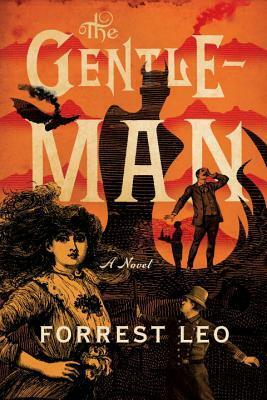 The Gentleman is Forrest Leo's first novel and I am impressed! If P.G. Wodehouse and Julia Quinn's books could have a baby, The Gentleman would be it. I absolutely loved everything about it. It's my favorite audiobook so far this year.